Antique Bronze PLA has a metallic antique bronze or dull gold sheen to it that is well suited to prints of metal items like architectural elements such as pipes or sculptures, steam punk designs, ball bearings, musical instruments, medals, tools and jewelry. Print metal items like architectural elements such as pipes or sculptures, steam punk designs, ball bearings, musical instruments, medals, tools and jewelry. 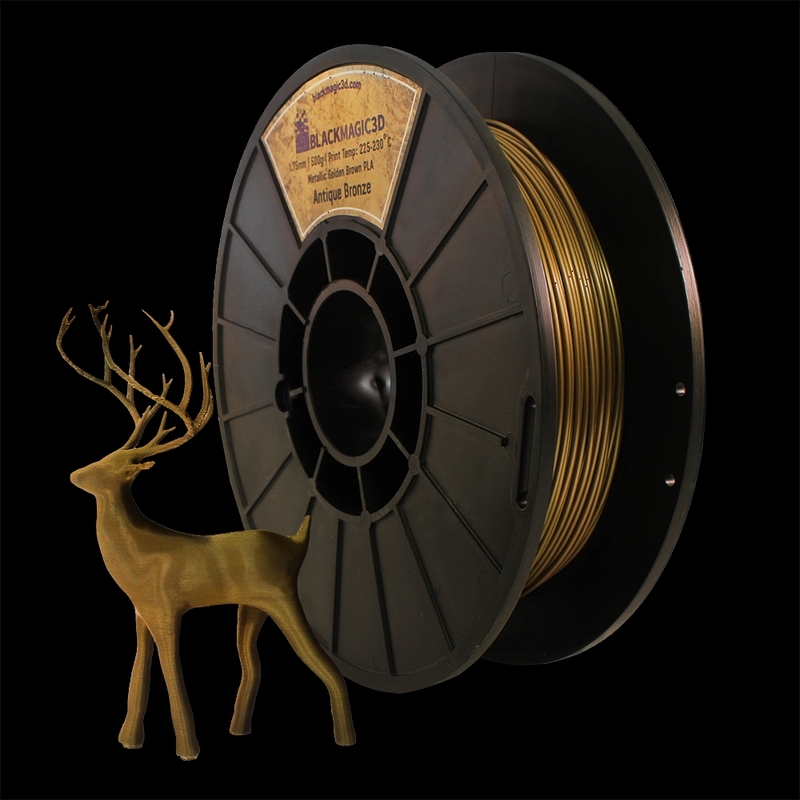 PLA has little to no odor when printing making it safe to work with in any environment.